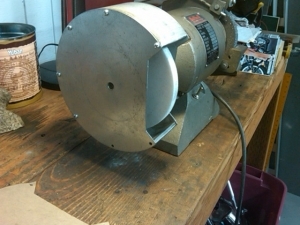 Homemade grinding wheel guard for a bench grinder fabricated from stock. Components are secured with 14 8-32 screws. All holes were tapped in a drill press (hand turned) to ensure perpendicularity.